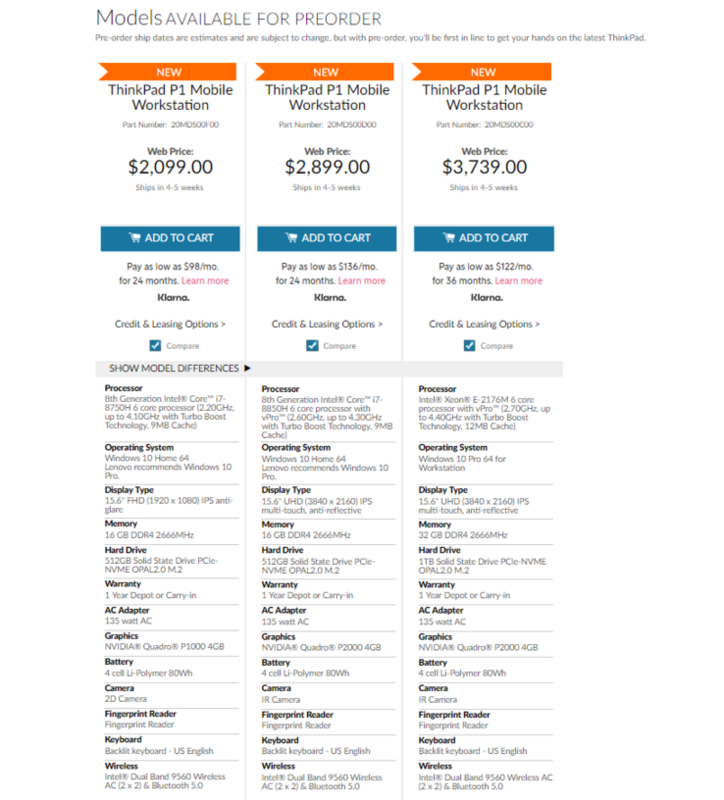 Announced roughly one week ago, the new Lenovo ThinkPad P1 is already orderable on Lenovo's US website. The new 15.6 inch mobile workstation is supposed to compete with the Dell XPS 15 and its workstation cousin, the Dell Precision 5530. When the ThinkPad P1 was announced, we noted its comparably high pricing. Indeed, it is much more expensive than the Dell Precision 5530, which starts at 1,519 US-Dollars – not to mention its non-workstation cousin Dell XPS 15, which is even more affordable still with a starting pricing of 999 US-Dollars. The Lenovo ThinkPad P1 meanwhile costs at least 2,099 US-Dollars for the cheapest configuration available. That's also more than HP's ZBook Studio G5, which has a starting price of 1,799 US-Dollars. 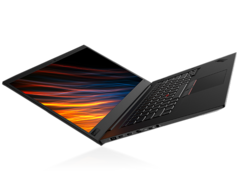 It should be noted though that the Lenovo ThinkPad P1 lacks lower-end configurations right now, which most likely explains most of the price difference. The cheapest model of the ThinkPad is very well equipped with the Intel Core i7-8750H, the Nvidia Quadro P1000, a 512 GB SSD and 16 GB of RAM. In comparison, the base model of the Dell Precision 5530 sports the Intel Core i5-8300H, a 1 TB HDD, no dedicated GPU and 8 GB of RAM. When specced similarly to the cheapest ThinkPad P1, the Dell Precision 5530 is actually more expensive than the ThinkPad. Regardless if one considers the ThinkPad P1 to be overpriced compared with the Dell Precision 5530, it is by far not the most expensive 15 inch laptop on the market: The 15.4 inch Apple MacBook Pro is more expensive for example, as is the 15 inch Microsoft Surface Book 2.